A new series of talks from the Architecture Foundation looks at the growing prominence of privately controlled spaces, and how they can stifle creativity and expression. Every so often, another chunk of London gets bought up and turned into a private enclave. Big commercial zones like Broadgate in the City or Paddington Basin might feel like public areas, but they are managed by businesses rather than councils. You might be restricted from taking photographs, gathering for a picnic, or roller skating, for example. We mapped such zones a few years ago, and they've proliferated since. 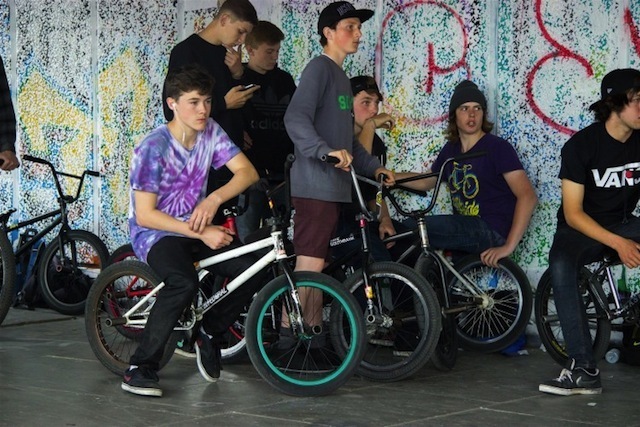 Most recently, the Southbank's popular skatepark has been earmarked for closure as large tranches of the area are prepared for redevelopment. Partly prompted by this cultural deletion, the Architecture Foundation will hold a trio of debates under the moniker Culture + Commerce: Designs for a Different City. How can we waylay the transformation of the public realm into a private venture, and of culture into commerce? How can we design-in diversity instead of yet another row of chain eateries? Such questions will be addressed by a range of panelists, including architects, artists, a member of the 20th Century Society and the creative force behind the Brixton Pound. The talks run on 9 September (Money Talks: Can we (re)design economic systems to preserve the city as a site of experimentation? ), 11 September (Appropriate Measures: Can Established Planning and Preservation Measures be Adapted to Protect More Radical Forms of Culture?) and 18 September (If I Had a Hammer... Our DIY Future – Are Cohousing and Self-Build the Answer to our Domestic Woes?). Events are £3.30, and take place at AF Project Space, 136-148 Tooley St, London, SE1 2TU. All begin at 7pm. Image by Londonist's James Drew.